The American racer and team founder Dan Gurney has passed away following complications after a bout of pneumonia. The tall, elegant American earned his own place in motor sport's record books by winning not only in F1, but NASCAR, IndyCar and the Le Mans 24 Hours. In addition, in the wake of his win at Le Mans in 1967 he sprayed Champagne on the podium, establishing a tradition that continues to this day in almost all forms of motorsport. Along with inventing the Gurney flap, a right-angled extension fitted to the trailing edge of wings, in 1968, a year after his Le Mans win, he was the first race driver to wear a full face helmet in F1. Such was his talent that it's understood that at Jim Clark's funeral, he was told by the Scot legend's father that he was the only driver the two-time world champion really feared on track. Coming from a family with a strong engineering background, though his father subsequently became an opera singer, shortly after the family moved from New York to Riverside in California, Dan began taking an interest in hot rods, and while still in his teens built a car that recorded 138 mph at the legendary Bonneville Salt Flats. In 1957 he was invited to test Frank Arciero's 4.2 litre Special, a car that had put the fear of god into the likes of Carroll Shelby. Undaunted, he finished second (to Shelby) in the inaugural Riverside Grand Prix. In the course of the race he beat a number of established stars including Phil Hill and Masten Gregory, and as a result was handed a Le Mans outing in 1958 by Luigi Chinetti. Though his co-driver crashed out of the race, Gurney's performance, having got the car as high as 5th, was given a test run by Ferrari and in 1959 contested four Grand Prix with the Italian manufacturer. Despite only contesting four races with Ferrari that year he made it to the podium on two occasions. 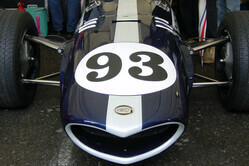 However, unhappy with the team's management he opted to move to BRM for the 1960 season. A difficult season with the British team in 1960 was made worse by a crash during the race at Zandvoort in which Gurney broke and arm and a young spectator was killed. The incident, which Gurney described as "life changing", was subsequently re-worked and included in John Frankenheimer's movie Grand Prix. 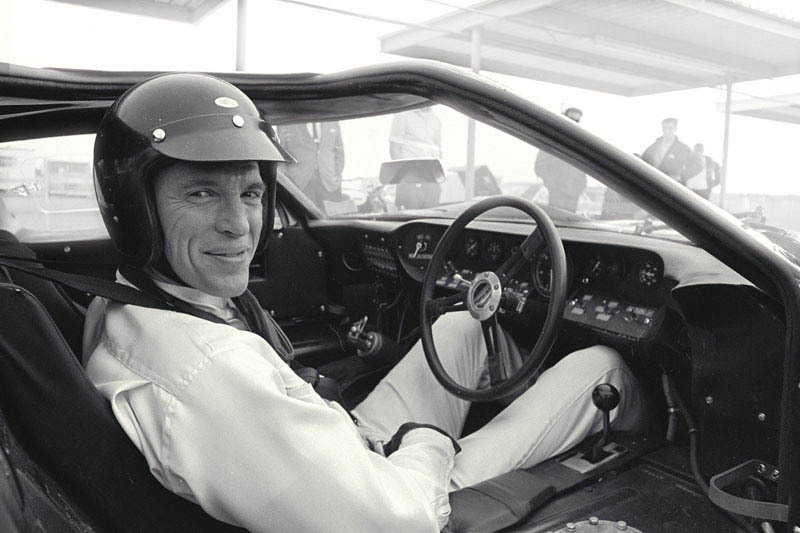 The crash was life changing for Gurney in many ways, for among other things he subsequently adapted his driving style, particularly his way of braking. In the years that followed, he joined the newly-formed Porsche F1 team in 1961 - taking the German outfit's maiden win in his second season. In 1963 he was the first driver to be hired by Jack Brabham for his fledgling team, the American going on to score the outfit's first world championship Grand Prix victory, which like his win for Porsche came at Rouen. He continued with Brabham until the end of 1965, at which time he formed his own outfit, Anglo American Racers. In fact, All American Racers had been formed by Carroll Shelby in 1965 after several years of deliberations with Gurney, who was concerned that the name was a little too jingoistic. Interestingly, a year earlier, such was Gurney's popularity, Car and Driver magazine nominated him for the Presidency, however, he was deemed too young to stand as candidate. Nonetheless for many years after the popular American was regularly nominated even if only in fun. In 1967, just a week after winning at Le Mans, Gurney scored AAR's first and only Grand Prix win, fending off Scots Clark and Jackie Stewart despite an issue with his (glorious) Weslake V12. Now and at the time, it was fitting that the Eagle was as elegant as the man behind it. Indeed, as one person pointed out on Twitter in the wake of his death: "In a four week stretch of summer of 1967, Dan Gurney started on the front row of the Indy 500, won the 24 Hours of Le Mans (and invented the champagne spray) and then won the Belgian Grand Prix in a car he designed. Let that sink in." The Spa victory marked his fourth and last Grand Prix win, AAR subsequently ditching its legendary Eagle for a McLaren for the final races of 1968. Quitting F1 at the end of that season, Gurney returned for three outings in 1970 with McLaren following the death of team founder Bruce McLaren. 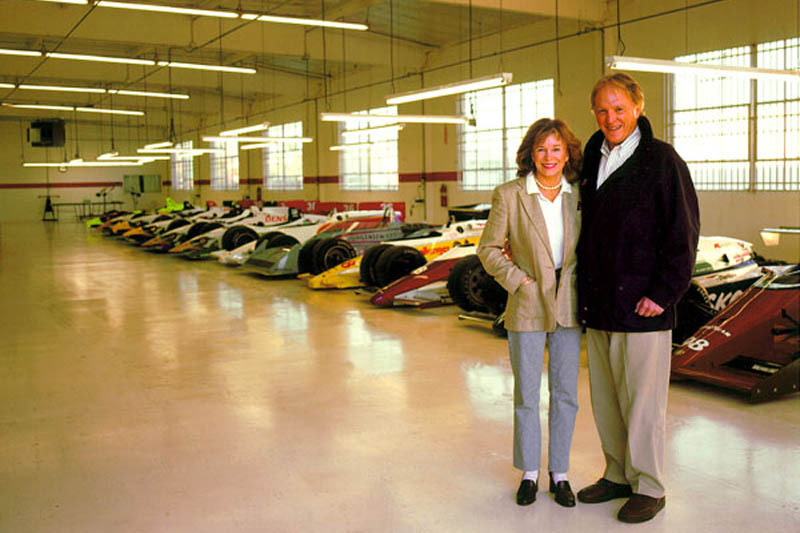 Having quit F1 he now focussed his attention on All American Racers, only giving up his role as Chairman and CEO in 2011 when his son Justin took over. Along the way, Gurney had contested NASCAR in which he won a number of events, the Daytona 500 and Indy 500, his best result coming in 1968 and 1969 when on both occasions he finished 2nd, followed by a third in 1970. Indeed, in 1969, seemingly now out of F1, he had focussed on IndyCar, finishing 4th in the overall standings despite contesting just half the races. This came a year after finishing seventh overall in only five outings. He also found time to contest the legendary Can-Am series. He was also the driving force behind the establishment of CART as he sought more control for race team owners and participants rather than series promoters and governing bodies. His four wins make him the second most successful American driver in history behind Mario Andretti, while 1961 world champion Phil Hill only won 3 Grands Prix. News of his death was made public by his widow Evi (pictured), who issued a brief statement: "With one last smile on his handsome face, Dan drove off into the unknown just before noon today, January 14, 2018," it said. Among the first to pay tribute to Gurney was Mario Andretti, who tweeted: "RIP Dan Gurney. I was first inspired by him when I was in midgets dreaming of being like him. I was last inspired by him yesterday. Yes, I mean forever. He understood me better than anyone else, which is why he wrote the foreword for my book in 2001." Gurney is survived by his wife Evi and four sons, Justin, Alex, Dan Jr. and Jimmy, to whom Pitpass and its readers offer their sincere condolences. "Clark's father's comment to Gurney brought him to tears - says it all about the nature of the man." "I see you have corrected it, thank you." "Very nice piece about one of the greats from my youth. The mentioned crash in which he broke an arm and a boy of 15 was killed occured in Zandvoort 1960 and not in Spa !" "A giant of our sport. Rest in peace."